The Story of Fabhelles begins in early 2017 with the construction and installation of our brewery at the Ritchie Market. 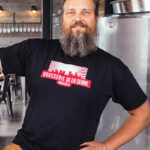 We purchased our brewing equipment from BrauKon in Germany, and the installation process included having one of their staff come out to commission the brewery. Little did we know that the commissioner, Fabian, would end up being fast-friends with Head Brewer Rob. Cool, clean, and crisp Fabhelles! The commissioning process for any brewery is always stressful and difficult, and it was no exception for us. You’re usually dealing with problem after problem in attempting a first brew. Your objective is keep slogging forward as you remove obstacles, and tempers can often flare as frustration mounts. In our case it was strangely the opposite. Even though we were having a tough time, we also had a lot of fun (as tends to be our modus operandi). Rob and Fab really hit it off and had an awesome time working together, so much so that they remain great friends even though they’re continents apart. 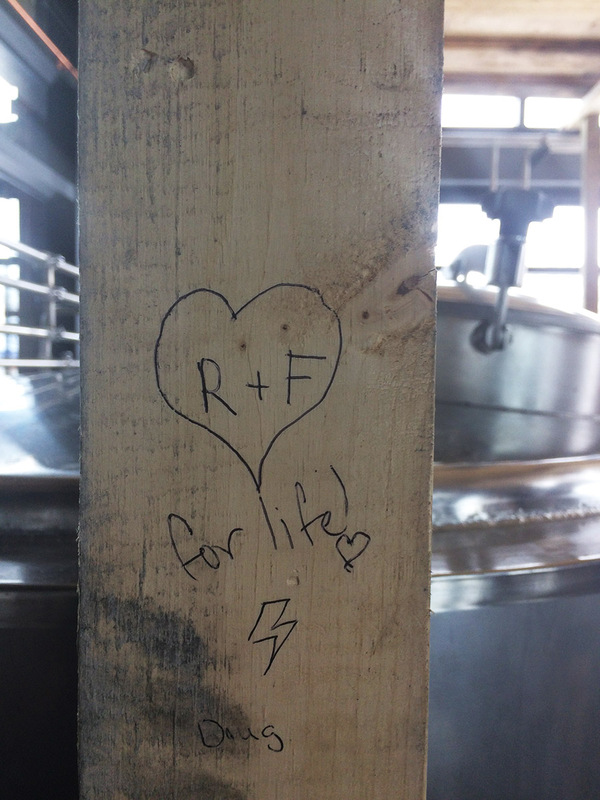 Doug created the evidence of Rob and Fabian’s friendship (written on one of the temporary supports in the brewhouse while it was under construction). So cute! To commemorate the commissioning of our brewhouse Rob, Doug, and Fab did a collaboration beer, originally named Fab (the beer), then ultimately called Fabhelles. Since Fab (the human) came all the way from Germany it was decided that we’d brew a lager familiar to what he’d have back home, but with aggressive dry-hopping as seen with many of the newer German breweries. Fab did the initial recipe, and Rob and Doug refined it into the amazing beer it is today. Sadly we didn’t get a chance to actually brew it with Fab as he had to move to another commissioning job before we were fully up and running. 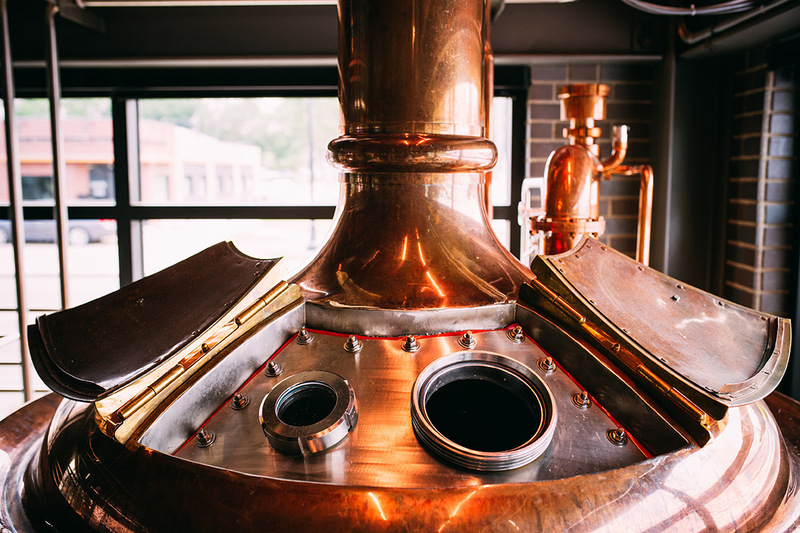 Our kettle, where much of the brewing action happens! In Fabhelles our primary base malt is an extra pale Pilsner, and we also use a significant amount of Vienna malt to add some color and light, malty graininess. 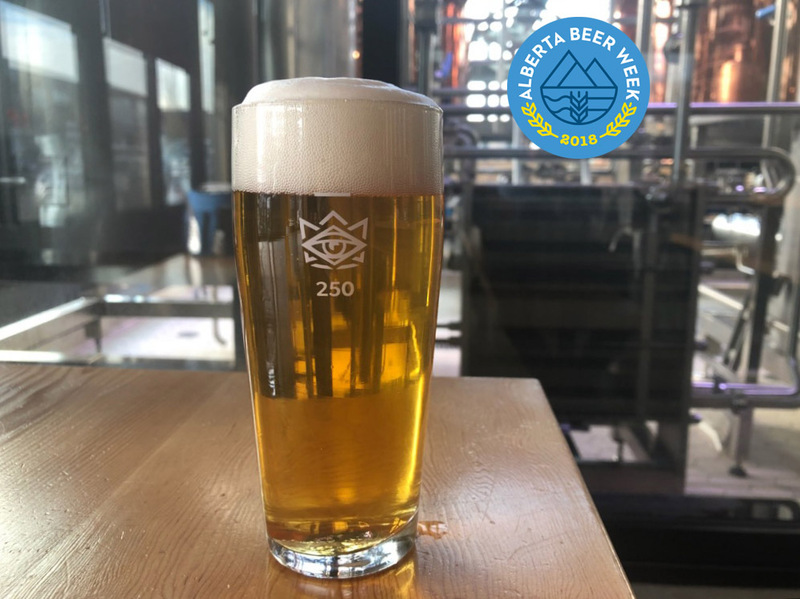 The real star of the show is Hallertauer Mittelfrüh, a traditional German hop that imparts both fruity notes and a floral aroma and flavor to the beer. As per standard brewing process we add Mittelfrüh to the boil, but also do an aggressive dry-hopping with Mittelfrüh to further impart more character to the beer. The result is sublime: a super-clean, lightly malty lager punctuated with fruity and floral notes. Even though Fabhelles was one of the first beers we made, we feel it’s one of our best. Come try it out and see if you agree!